From the pop, pop, pop of the gun outside the classroom to the surprising identity of the shooter, Only Child reveals the crushing events, so often in the news lately. As Zach tries to understand what has happened, where his dead brother has gone, his mother’s erratic behavior and his father’s disconnect, he also remembers his brother, diagnosed with O.D.D. (Oppositional Defiant Disorder), as the hyperactive and bright older boy who bullied him, and more often ignored him. When he checks his brother’s bed daily to be sure he is really not there, and rebelliously moves into a corner of his brother’s walk-in closet, his quiet assertiveness and need for a return to order and peace is a counter to his family’s constant stress. The horror of the killings and the aftermath is somehow increased by Zach’s sitting “criss-cross applesauce” on the floor, sucking on the ear of a stuffed animal. With his calm voice, he tries to make sense of this new world around him, but it isn’t easy. His parents marriage falls apart in the collateral damage, as Zach’s mother creates a campaign against the shooter’s parents and Zach’s father’s infidelity is exposed. Zach escapes to his hideout to talk to his dead brother, but finds it harder and harder to cope. This heart breaking tale is saved by the resilience of one little boy, who carefully and logically works to save himself and those he loves with hope and persistence. 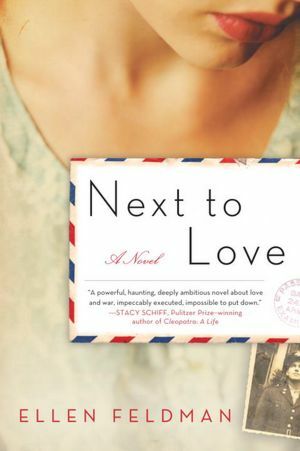 Ellen Feldman’s novel Next to Love could have more appropriately been named “after the war” as she examines the lives of three American women whose men served in World War II. As the story slowly develops from 1941 t0 1964, their lives in a small Massachusetts town become the microcosm for military families coping with the effects of war’s loss and trauma. Although the catalyst is World War II for Millie, Babe, and Grace, some of the personal applications could still be true today as embattled men return from war zones. Best friends from childhood, the three women sustain their connection despite their different backgrounds and the men they marry. At first the story has some of the flavor of Blake’s The Postmistress and Shaffer’s The Guernsey Literary and Potato Peel Society. If you liked reading those books, you will probably enjoy this one. All three women have recognizable characteristics that type them, and Feldman neatly uses these to weave in the prejudices of the times as the years unfold: women forced to leave jobs for returning GIs, Jews kept from buying into elite neighborhoods or joining country clubs, the brewing Civil Rights unrest. The focus, however, always returns to the personal relationships – the sustainability and changing nature of love in marriage and how war changes everything and everyone. 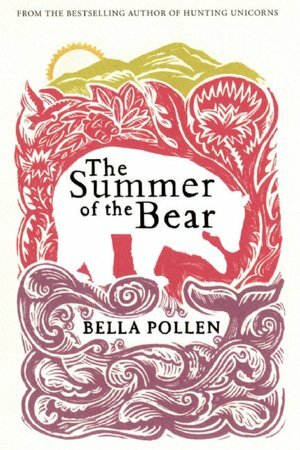 The suspicious death of a high-ranking British diplomat creates whispers of treason and spies; everyone seems to have lost faith in Nicky Fleming except his young son in Bella Pollen’s Cold War mystery – The Summer of the Bear. After his untimely death, Nicky’s family flees to a remote Scottish island in the Hebrides for the safety of old family surroundings and seclusion from the harsh innuendo of the diplomatic gossips. Letty, Nicky’s wife is tortured by his incriminating death-bed letter; Georgie, his seventeen year old daughter harbors a secret uncovered when she accompanied her father to East Berlin; Alba, fourteen, is angry at the world and her father for deserting them. Only eight year old Jamie believes his father will keep his promise and come back to tell his family the truth. As the family copes with their grief – each in their own way – a bear that has escaped from a one-man circus act appears intermittently in the action. Pollen assigns chapters to the thoughts of each: Letty, Georgie, Alba, Jamie – and the bear. Jamie believes the bear is his father in a new form, and Pollen allows the bear’s thoughts, its interest in the family, and its protective instincts toward the children to make the connection a possibility. 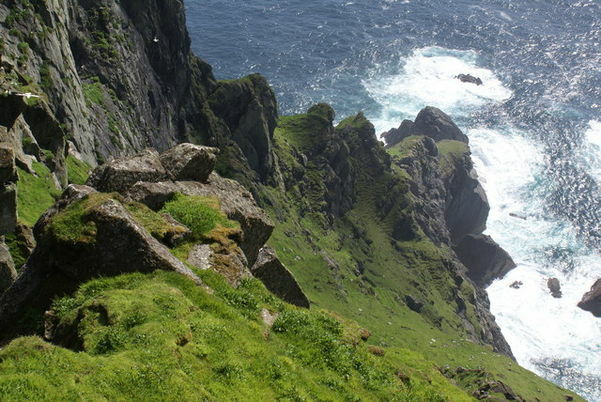 Place is important to the story – from the watchful paranoia at the Wall dividing Berlin to the proper stiffness of the British diplomatic corps in West Berlin, to finally, the wild Outer Hebrides. Pollen spent her childhood summers in the Scottish Highlands and her descriptions of the raw beauty of the cliffs, the birds, and the sea places you there in that magical yet forbidding place. I was caught up in the intrigue; was Nicky’s death murder, suicide, accident? Did he betray his family and country? Was he a double agent? Pollen maintains the suspense while demonstrating how differently each character deals with the grief and uncertainty as well as with each other. Although the dramatic ending is neatly tied with the imagination and loyalty of the young boy, my satisfaction came with the possibility – the belief – that the bear really was the savior. More than a mystery or an examination of family relationships and loyalties, The Summer of the Bear is a sweet comfort I enjoyed.